This is another Universal RC5/RC6 transceiver project. It use PIC16F628 as main processor. 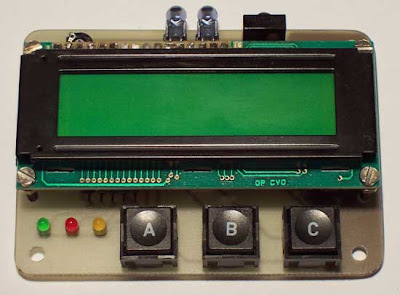 On the one side you can read the RC5, RC5X and RC6 codes from remote controls on a LCD and on the other hand you can send all thinkable RC5, RC5X and RC6 codes to a device.